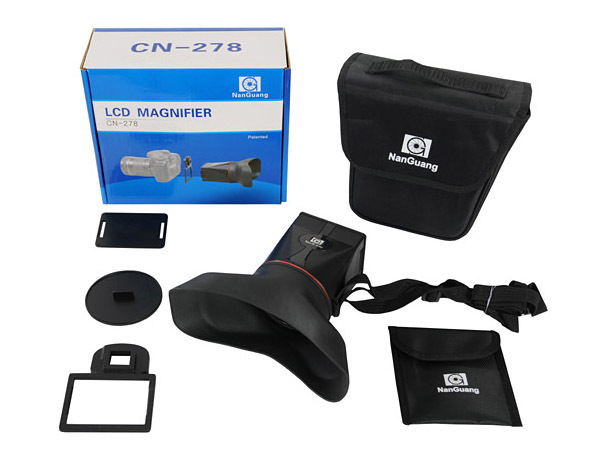 The CN-278 Duel-Eye Displaylupe LCD Magnifier is a dual vision LCD magnifier made with high strength plastic for cleaner view from DSLR LCD viewfinder. 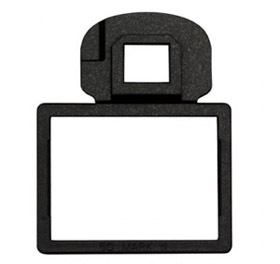 It mounts on the DSLR optical viewfinder without the need of any additional bracket, rail, or any sticky frames. 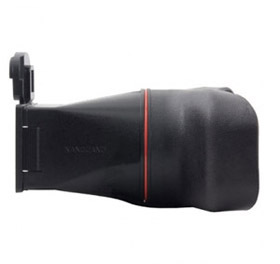 The extra large high quality glass lens provides 3X zoom magnification along with double-wide rubberized eyepiece. 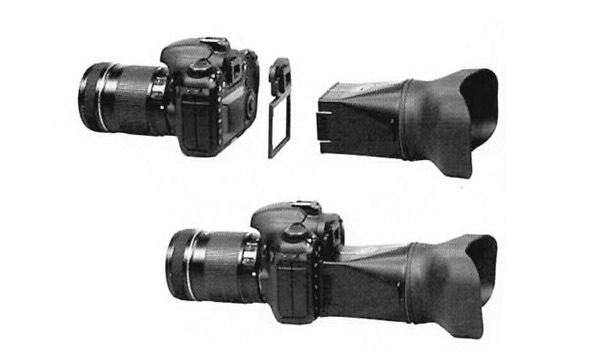 The stereo dual vision provides a more comfortable and less tiring operation than traditional single display LCD viewfinder. 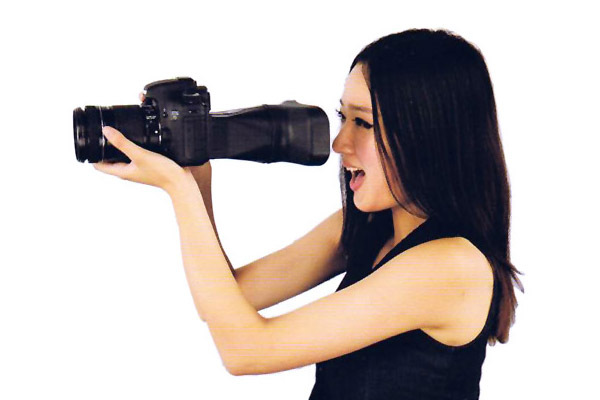 Posted by Ricardo Evangelista on 2/8/2016 10:09:00 AM You have this equipment Nikon? Replied by LA Color Pros Unfortunately, they only make one model for Nikon D800. 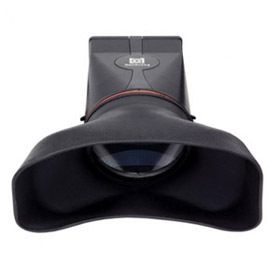 I am loving the dual LCD magnifier and wondered if you made one to fit the Canon 70D? 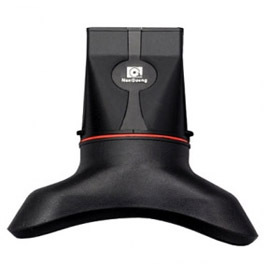 Replied by LA Color Pros Unfortunately this item does not work with swing out LCD screen type of camera. Posted by Henk Gielis on 9/23/2017 12:21:00 PM Do you sell this magnifier in The Netherlands?